We analyzed data from more than 1 trillion Facebook ad impressions to present today’s most complete portrait of Facebook ad performance. 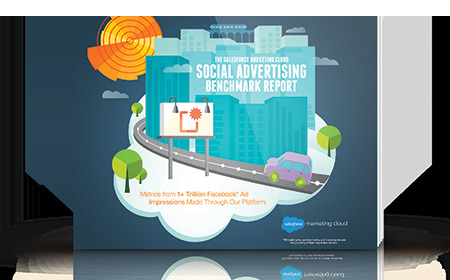 In the report, you’ll discover key Facebook advertising benchmarks (including CPC, CPM, and CTR) to help you evaluate your own ads and metrics. Facebook ad click-through rates doubled during 2013 from 0.18% in Q1 to 0.36% in Q4. The global overall average mobile Facebook ad click-through rate is 1.44%. Non-profit companies tracked the highest CTR in Q4 of 2013, with a 1.77% CTR. The report also separates performance averages by seven industries: consumer packaged goods, entertainment, financial services, gaming, retail, non-profit, technology, and travel and hospitality. In the report, you’ll discover key Facebook advertising benchmarks (including CPC, CPM, and CTR) to help you evaluate your own ads and metrics. The report also separates performance averages by seven industries: consumer packaged goods, entertainment, financial services, gaming, retail, non-profit, technology, and travel and hospitality.